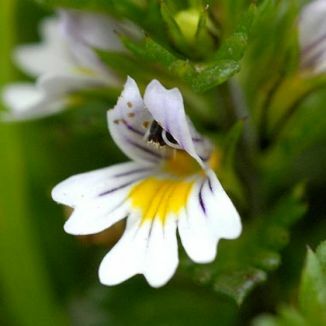 Eyebright or Euphrasia was named after Euphrosyne, one of the three graces, although there are no records of its medicinal use by the ancient Greeks. In the 14th century it was supposed to cure “all the evils of the eye”. There was even an “eyebright ale” in the time of Queen Elizabeth I of England.